Abstract: Information and communication technologies (ICTs) in healthcare have been around for many decades. Yet their potential is not fully exploited. This talk will give an overview over some areas within health informatics, specifically patient-centred information systems, decision support and health-enabling and ambient assistive technologies. The development within these areas will be discussed with special focus on lessons learned from past and current research in order to describe challenges, opportunities and trends. Dr. Sabine Koch early research was in dental informatics, especially dental imaging and IT supported integrated care concepts for dental offices. She explored these concepts further and applied them for collaborative work using mobile tools for homecare of the aging population. 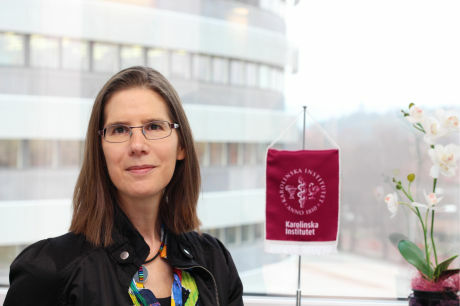 Since 2008, Dr. Sabine is the Strategic Professor of Health Informatics at Karolinska Institutet and the Director of HIC, the Health Informatics Centre. Since Autumn 2012, she is also Programme Director for our Global Master's Programme in Health Informatics, a joint programme with the Department of Computer and Systems Science at Stockholm University. Dr. Sabine hold both a M.Sc. and a Ph.D. degree in Medical Informatics from Ruprecht-Karls University Heidelberg, Germany. She got into the field of medical informatics in 1988 which she five years later combined with research in human-computer interaction and she enjoys working in this inspiring cross-disciplinary field since then. Dr. Sabine strives for combining structure with flexibility and technology design with healthcare and consumer needs aiming to build the theoretical basis needed to fully understand the socio-technical environment in order to be able to enhance health service delivery. Abstract: In the vision of Mark Weiser from 1991 almost every device we have is able to communicate and compute, and useful combinations of devices help us in our daily life, at work, in factories, at the hospital - everywhere and with little intrusion. In such a ubiquitous, but also dynamic, situation we clearly need to rearrange our devices, add new, or change their combined behaviour. Since the setup quickly becomes unique to each user there will be a need for customisation. This vision thus implies that our devices can be re-combined and arranged in new useful combinations as need change, by the user or at least without having to involve the supplier of the devices. - How can we make it possible to combine devices in new situations, in ways that their creators never thought of? - How do we make use of devices from different vendors, most likely adhering to different communication ”standards”, in the same configuration. - How do we enable the end user, or someone close, to put together devices in new ways, or just add a new device and make it work with our existing collection of devices and configurations? - How do we make configurations something that can be reused, shared, or traded? - How do we make devices work together although they use different communication technologies, some of them yet to develop? - How do we facilitate the end user to create user interfaces that match different needs and that interact with such configurations of devices? - How do we handle security and integrity of such systems? - How do we handle software upgrades of massive numbers of devices without driving the owner mad, and of configurations, without causing inconsistencies? In this talk we will illustrate the issues at hand and possible solutions by putting forward the ideas and techniques used in the design of the Palcom middleware. We will also illustrate with concrete situations where Palcom has been used, primarily from e-health applications. Palcom was originally a result from an EU project, but has since been further developed to make advances in these areas. Dr. Boris Magnusson is a professor in Software at the Department of Computer Science, Lund University since 1999. He received an MSc of Engineering Physics in 1976 and a PhD in Computer Science in 1984, both from Lund University. 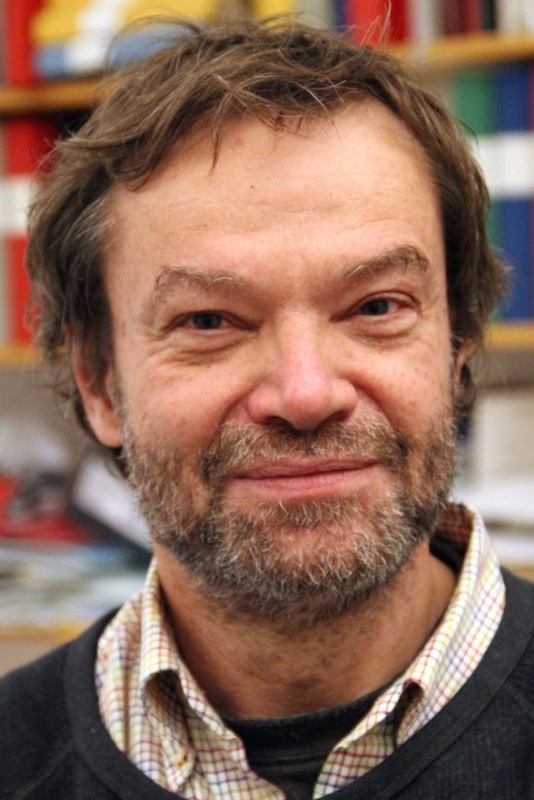 After graduating he served as head of the Computer Science department, Lund University, for seven years, and has there served as scientific leader and established the group in Software Development and Environments. One of his early research interests is Object Orientation. He was involved in establishing ECOOP - European Conference on Object Oriented Programming as a scientifically leading conference in its field. He has served as conference chair, program chair and numerous times as pc-member for ECOOP and TOOLS - Technology of Object-Oriented Languages and Systems, as well as pc-member for ACM OOPSLA, and CC - Compiler Construction among others. Other field of his interest are Configuration Management where he served as program chair for SCM - System Configuration Management Symposium and pc-member for SCM as well as ICSE - International Conference on Software Engineering, ESEC - European Software Engineering Conference, and Agile development such as Extreme Programming (XP) and the application of Participatory Design (or Co-design). Besides research interests Professor Magnusson has taken active part in spreading new technologies to industry, through tutorials, presentations, industrial cooperation projects, and through teaching and developing the curriculum at Lund University. Professor Magnusson’s current research interests include ubiquitous and pervasive computing, also known as ”Internet of Things”, its implications for software architectures and its applications in different fields, in particular healthcare, home automation and robotics. This work has resulted in a platform for building IoT systems, PalCom, that originates from the EU project with the same name, and serves as an integration platform. He headed the recent national project “it-support for Advanced Care at Home” and is involved in several other eHealth initiatives. He is also director of the newly formed spin-off company itACiH AB.